This month, the Product Meetup hosted a panel focused on how to scale product management, from growing teams to getting the company on board with what “product” is. The panelists, Chris Gann, Director of Product Management at naviHealth, Dr. Bryan McClarey, Director of Product Management at InVivoLink, and Mike Dolezal, VP of Product at Asurion shared their insights with a group of over 50 members of the product community. Before diving into how to scale product, the panelists first shared how product management was introduced into their companies. Bryan, Chris, and Mike agreed that establishing the need for product management within a company can be an uphill but necessary battle. Each panelist discussed dealing with skepticism and lack of awareness of product management’s purpose from upper management and team members. Mike shared that his team had to be thoughtful on how they work with other departments so as to make things happen without “owning them”. He started by having his product managers ask teams, “How can we help you?” rather than making team members give up control over projects. The panelists suggested finding ways to get features into users’ hands quickly and cheaply in order to build a business case around the value of those features or products to upper management. Chris suggested to our crowd of both seasoned and new product people that we find our rallying cries to insert product when needed, rather than in every project or process going on in a company. Our panelists described their varying team structures, ranging from the department their teams lived in to how product managers were assigned work. 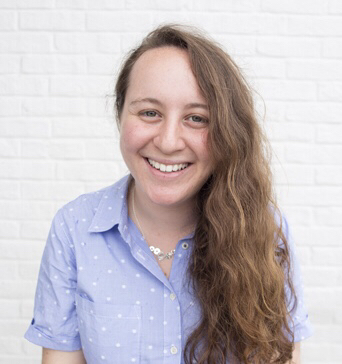 At Asurion, product managers are split into “journey teams” in which one product manager and a team of engineers work closely around one part of the user journey. Mike explained how journey teams decide on a single goal and then work toward KPIs to reach throughout the year. The product and engineering departments went this route in order to give Asurion’s product managers more autonomy and room for creativity, while letting them stay focused on specific users’ needs. On Brian’s team at InVivoLink, role structures are also highly user-oriented. Brian explained shifting their initial approach to product management to focus on people instead of technologies. Scaling product management involves finding the right people to keep the company and its products moving forward. Our panelists valued different things when hiring product team members, but each stressed empathy as a core trait to look for in candidates. Brian values candidates who are curious and outcome-based, balancing both their inclination for discovering new things with working toward real results. For Chris, it’s important to take into account the composition of his team and which personalities exist and work well together already. He also values a high level of accountability, looking for new hires that feel responsible for the success of the business. In managing their team members, the panelists stressed letting them explore career growth on their own. Chris employs a “No Fences Policy”, in which he encourages his team to explore around the organization to discover what they want to do next. Allowing team members to get outside their comfort zone and gain knowledge of the company, its users and the market, will allow them to grow professionally and personally. A product manager’s role is as ever-changing as the products and teams one manages. Our panelists’ experiences showed us how important it is to maintain a sense of flexibility and dependability as a company grows. Chris wrapped up our conversation with one key point, “Product management is whatever the business needs it to be in order for the organization to scale”. 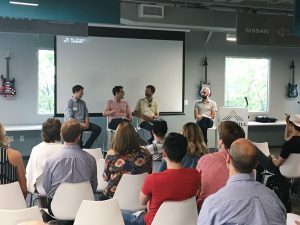 If you are interested in all the ways that product management takes form, attend ProductCamp on on Saturday, September 29th and check out upcoming Nashville Product Meetup events to learn more.